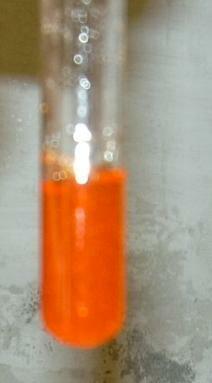 In a test tube add a spatula-tipful 2-naphthol and a spatula-tipful sulfanilic acid. Create a suspension with approx. 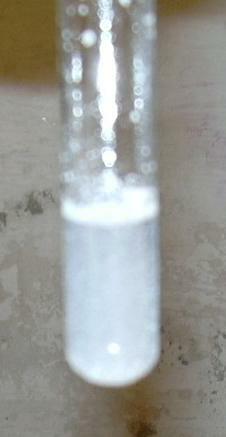 4 ml distilled water. Add a couple of drops of sodium nitrite solution. 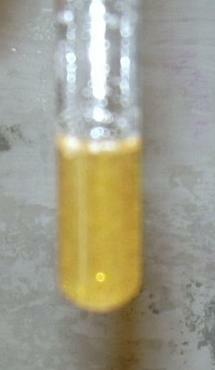 The color of the mixture turns at first to yellow, then to orange and finally to red. This can possibly take several minutes, the ingredients partially dissolve. If one adds lye the transformation is dramatically accelerated, but without it is much more beautiful to observe. The mixture can be disposed of as halogen-free organic waste.